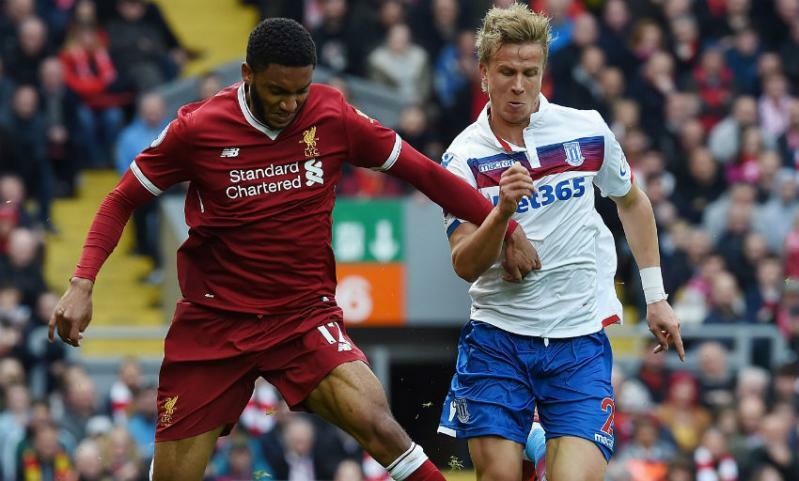 Liverpool were held to a goalless draw by Stoke City on a frustrating Saturday afternoon at Anfield. 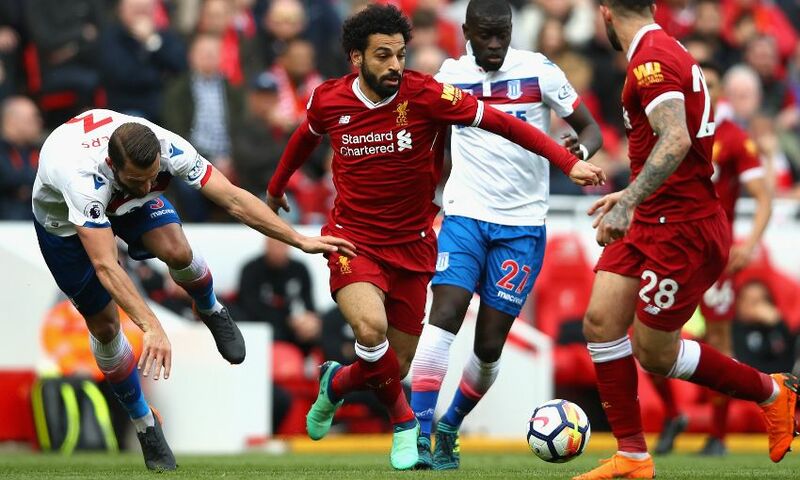 Mohamed Salah spurned an early chance and the manner in which he raced clear of the visitors’ high defensive line appeared to lead Paul Lambert to instruct his backline to drop deeper. Subsequently, the Reds found it difficult to carve out sights of Jack Butland’s goal, with Danny Ings’ disallowed effort - ruled out for a marginal offside call - shortly before half-time the closest they came to making the breakthrough. But despite the disappointment of seeing two points slip away, Liverpool remain in control of their own destiny in terms of the race for a top-four finish. Jürgen Klopp elected to make five changes to his starting line-up, with Ragnar Klavan, Alberto Moreno, Joe Gomez, Georginio Wijnaldum and Ings coming in. Dejan Lovren, Andy Robertson and James Milner were named on the bench but, along with Alex Oxlade-Chamberlain (knee), Sadio Mane missed out altogether due to a fitness issue. Trent Alexander-Arnold, starting as part of the Reds’ midfield three, saw early appeals for a penalty waved away when he stumbled under pressure from Moritz Bauer, but the hosts’ wait for a clear chance was only extended until the sixth minute. Jordan Henderson combined with Salah to spring in behind the Potters’ defence and, given his recent penchant for dinked finishes, it was no surprise to see Liverpool’s leading scorer lift the ball over the advancing Butland. It was, however, something of a shock when his attempt hit the advertising hoardings behind the goal as opposed to the back of the net. Alexander-Arnold had the hosts’ next opportunity, the No.66 racing beyond Salah and collecting the Egyptian’s clever pass only to see his low shot smothered by Butland. That was sandwiched by two presentable chances for Stoke, though, with Mame Biram Diouf first nodding Bauer’s delivery into the side-netting before Xherdan Shaqiri’s low cross narrowly evaded the sliding Peter Crouch. 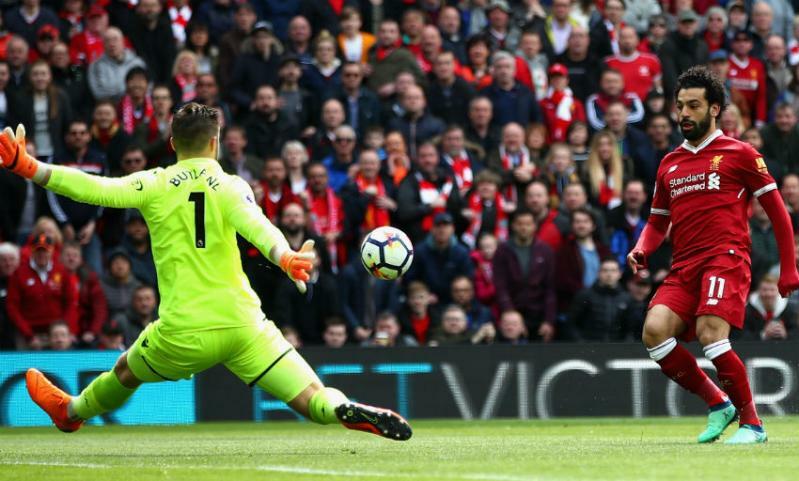 Liverpool quickly regained command and Butland was sent scrambling across his goal twice in quick succession around the half-hour mark, when Wijnaldum and Salah, from a free-kick, shot into the side-netting. Ings then thought he’d broken the deadlock four minutes before the break when he lashed home the loose ball after Wijnaldum’s effort had deflected to him, but the offside flag was up to ensure the teams went in level. Klopp tweaked Liverpool’s system at the interval, with the Reds switching to three at the back and Alexander-Arnold and Moreno operating as wing-backs. Immediately there was more urgency in the hosts’ passing, although unpicking the lock of an increasingly-deep Stoke defence was proving tough. Milner and Nathaniel Clyne were introduced from the bench midway through the half and the latter was soon into the action, heading straight at Butland from Klavan’s lofted cross before Moreno drilled wide from distance. Erik Pieters escaped sanction when Wijnaldum’s late cross, which appeared bound for an unmarked Moreno, struck his outstretched arm in the penalty area. And one point very nearly turned into zero for Liverpool when Ryan Shawcross was a fraction away from stabbing in from close range at the other end, but the game ended in stalemate.